You are tasked with covering your boss's critical work for the entire week. The software removed those passwords within a few seconds and now I can edit these code and see what this database is doing on these user-forms. Uncheck the lock checkbox and clear the passwords field in the Properties section. Also, the major reasons have been discussed. Did someone leave your company and can't be reached to provide you with their passwords? General Publisher Publisher web site Release Date March 08, 2019 Date Added March 11, 2019 Version 4. Every single file was unprotected, no damages to the files where made. Because it has attracted low-quality or spam answers that had to be removed, posting an answer now requires 10 on this site the. For the next time: open the workbook without enabling macros and then in the file menu remove the protection by clearing the password. Now is your opportunity to prevent those unfortunate situations where you are locked out of your precious Excel files when you need them the most! Let's look at a scenario. Summary: optional Count: 0 of 1,500 characters The posting of advertisements, profanity, or personal attacks is prohibited. It has a simple and user- friendly interface that even a novice user can also use it without taking external help. I hope I can post the link for the file, otherwise I will edit the post immediately! The users can easily use manual solution to unlock or reset password in Excel file or may opt a third party tool to complete the task in a quick manner. A user can option any of these methods as per their convenience. Step 5: Now, in the Zip file replace the old vbaProject. The password to modify the worksheets is BobRocks123. This can be a terrible dilemma if users are in a time crunch or do not remember how they coded their projects. I tried many tricks to accomplish this task. 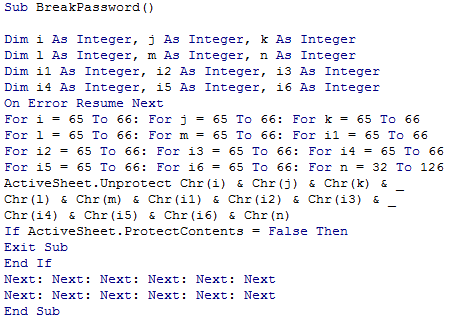 If you need a password to open the workbook, check out. Click on Insert and select a module. Also, uncheck the checkbox of Lock project for viewing. The tool got even faster. 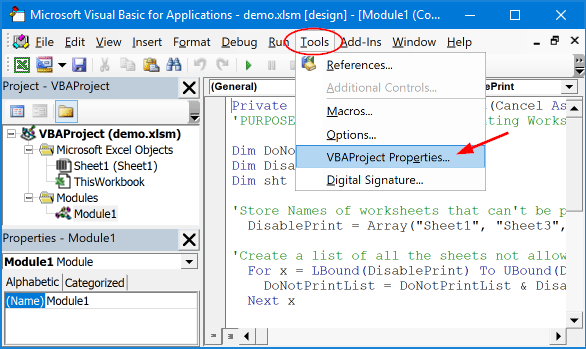 Step 7: Open the Visual Basic inside Excel an then. 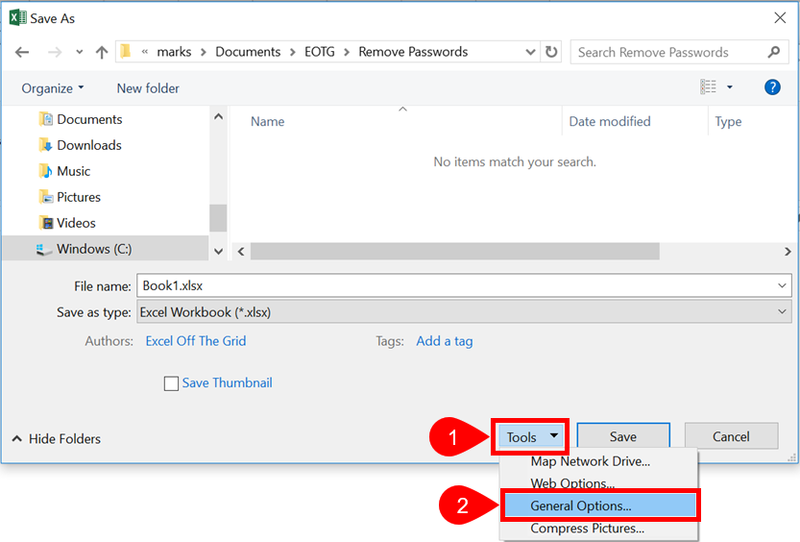 There is also a link provided for a that can handle removing Excel 2013 password protected worksheets. This can be a horrific problem if you are in a time crunch or don't remember how you coded something. If so, try re-naming it so it is disabled. I tested it with a password that was 10+ characters with numbers and no issue as well with the paid standard version Cons It works. This file can be extracted and inserted into another. This Excel add-in will provide you with a workable password and remove any protection from your worksheets that you are locked out of. Cons: 10 characters minimum Count: 0 of 1,000 characters 5. Step 3: Extract the vbaProject. Unfortunately employees leave, passwords get lost, and minds forget. And he is on leave for some personal issues. This can be handy if you unlock a dashboard that has all of the tab navigation hidden. We tried to contact that employe but we were unable to do so. 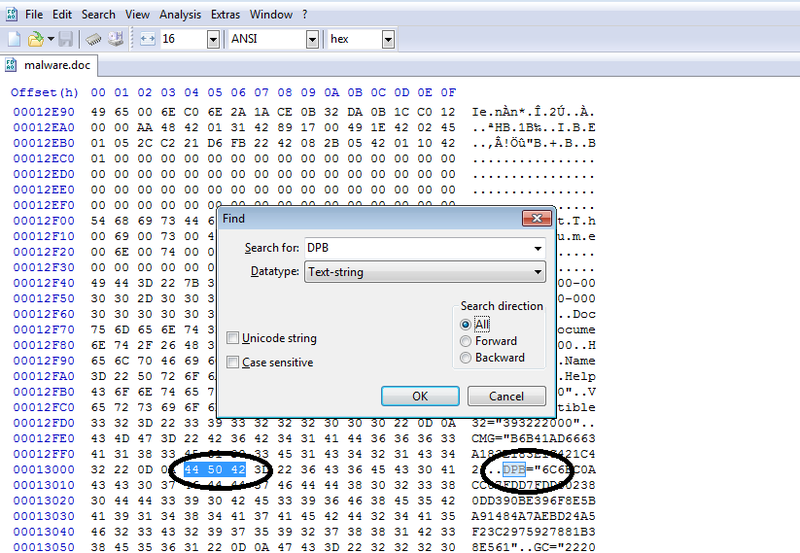 Step 4: Now, open the file which you have recently created with a hex editor. This is a modern tool designed by professionals to in a quick manner. I even got a discount as a returning customer. Simply click the Help button drop down and navigate to the Add-in Help Pages section. But I did figure out something new. Therefore, here we have described some of the user queries of real-life scenarios. Then, try the second solution. Works for Excel, Word and Powerpoint documents. . However, no doubt the passwords are very helpful in safeguarding the files. It's Monday morning and you are ready to get to work in Bob's Excel file but you lost the password he gave you to access it! Did you create this workbook? Recover Multiple Worksheet Passwords The Password Recovery add-in will produce a separate file with a summary of it's finding during the un-protecting of multiple worksheets. So, here we cover the best solution to file. The card payment did take about 5-10 min to process so be patient. We used a script that their support guys provided for automation. Instant delivery download page after purchase + email check spam folder if missing in your inbox. Include a or use the website to generate the reddit table markup from your spreadsheet.